With Passover right around the corner, the evening of April 19th to be exact, I am looking forward to eight matzah-filled days. 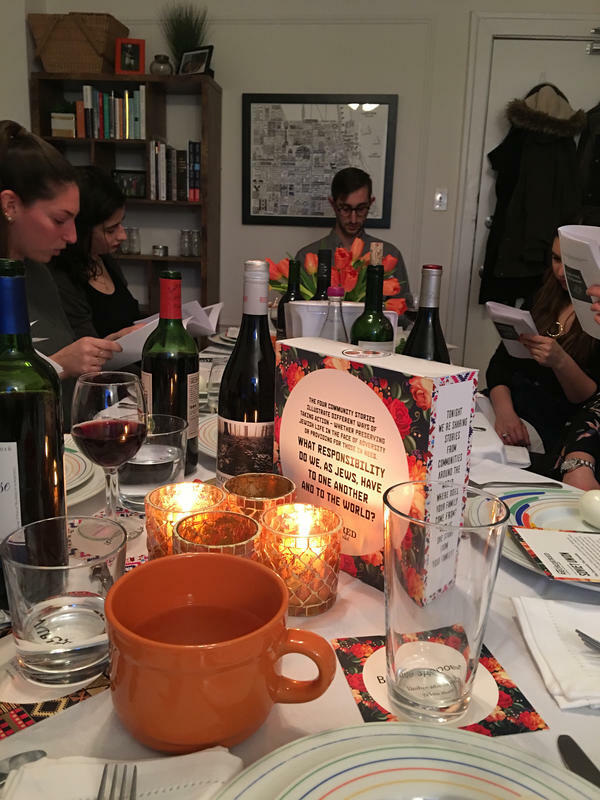 We have seen a lot of great Seder program applications come through and I am excited to share this curated list of eight ways to amplify your gatherings (you know, one for each night of Passover)! 1. For those of you looking to partake in a mitzvah, the 2 for Seder campaign, in partnership with a slew of phenomenal organizations like the Anti-Defamation League and American Jewish Committee, is calling for you to invite two people who have never been to a Seder before to your kitchen table. By incorporating their resources, they hope hosts can break down divides between Jewish people and non-Jewish people. If anyone is attending a Seder for the first time and is feeling apprehensive, MyJewishLearning has an incredible one pager to set expectations you may want to send to your guests. 2. Want to host a sustainable Seder? Check out Hazon! Hazon is one of my go to organization’s for environmentally friendly practices during my Jewish gatherings. For Passover they have sustainability practices, recipes, activities, and several Haggadah supplements for you to use. MHWOW Pro tip: you can get that reimbursed for print these! 3. If you want a splash of international flavor mixed your Manischewitz, check out JDC Entwine! Their Reordered Toolkit is completely free and provides elements of global Jewry to your festive meal. There are postcards, recipe books, a centerpiece, and much more, but these are limited so if you want them order today. If you are feeling a little impatient to receive your materials and just want the guide there is a PDF for you. Liza, MHWOW Program Manager, used this toolkit at her own Seder last year! 4. For those looking for a Tikkun Olam and Passover collaboration, Challah for Hunger has these Haggadah inserts for you to add to your Maxwell Coffee booklets (or the Bader Seder Liza made for y’all). These Haggadah inserts are guides to talking about food insecurity during this food filled holiday, which also happens to be one of our Tikkun Olam pillars in 2019. Other Tikkun Olam additions to your Seder can be found in our Moishe House Tikkun Olam Guidebook on the ‘Holiday Resource’ page. 5. When Passover conveniently falls on Shabbat (a.k.a. this year), OneTable has your back with resources to relax and recline. Check out their Passover Guide for recipes a plenty to make your Seder extra yummy. If anyone is feeling generous, you can send me a batch of the coconut halva macarons. 6. The Well, a Jewish young adult community in the Metro Detroit area, is encouraging us to host a #friendseder this year! What exactly is a #friendseder? Think Friendsgiving, but make it Passover. Check out their website and resources here. And yes, they have digital Haggadadot that if you print we will reimburse you! 7. For all of our hosts using MHWOW to gather young families in their community together, I couldn’t recommend PJ Library enough. Their Passover resources range from recipes, videos, and books for you to incorporate, but what really caught my attention is their material on having children at the Seder table. Check out their planning tips and ideas for kid-ifying your Seder here! 8. Last but certainly not least, the food situation at Passover brings me slight anxiety. I am just very sad that I can’t have Portillo’s chocolate cake or my mom’s noodle kugel like I would usually have at Jewish family gatherings. Thank you so much to Tasty and Buzzfeed for coming out with 31 recipes Kosher for Passover desserts, I already know my Seder will taste a million times better this year. How did you Seder in 5779? Share with us on Instagram or Facebook by tagging Moishe House and #moishemoment! Happy Hosting y’all!